Converting YAML to PDF in batch! Our range of conversion solutions are under constant development in response to user feedback and we are delighted to announce that Total XML Converter can now be used to convert YAML to PDF in batch. With their flexible and user-friendly format, YAML files are an increasingly popular solution for storing structured data. There are many times of course where you will need to get that data into a different format such as PDF for presentational or review purposes. Total XML Converter can now be used to generate PDF reports using YAML notation and its capabilities do not stop there. The software can also be used for generating YAML document from a JSON object. 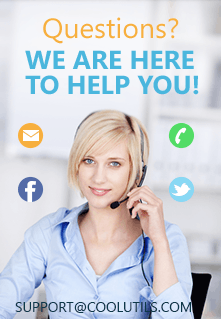 Add digital signatures to your generated files. Decide whether to expand data to table form when generating PDFs. 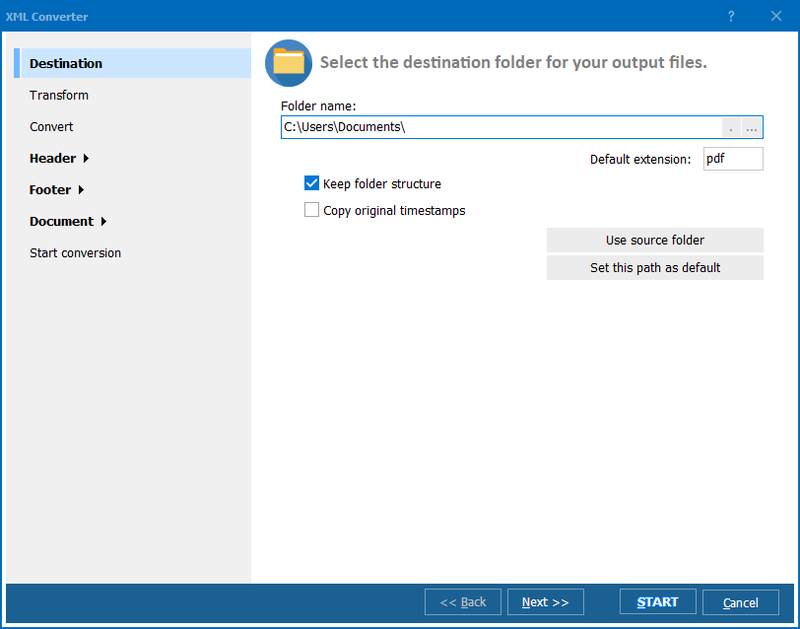 Assign user permissions to your PDFs. Insert custom footers or headers in your output files - these can include dates, page counters, or custom text. As well as handling YAML conversion, Total XML Converter also supports many other input and output formats. It is an excellent YAML converter but you can also tackle CSV, XML, JSON and XLST files with confidence. 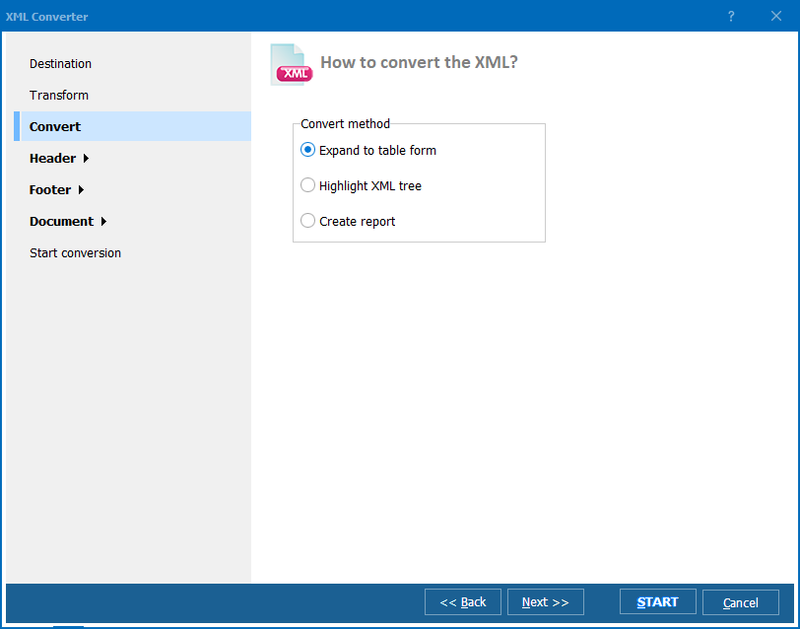 Wrangling with data files can be offputting to many but Total XML Converter's simple to use graphical interface makes common conversion tasks a pleasure rather than a chore. For users more comfortable with a command line interface, the software can also be called directly via that route. 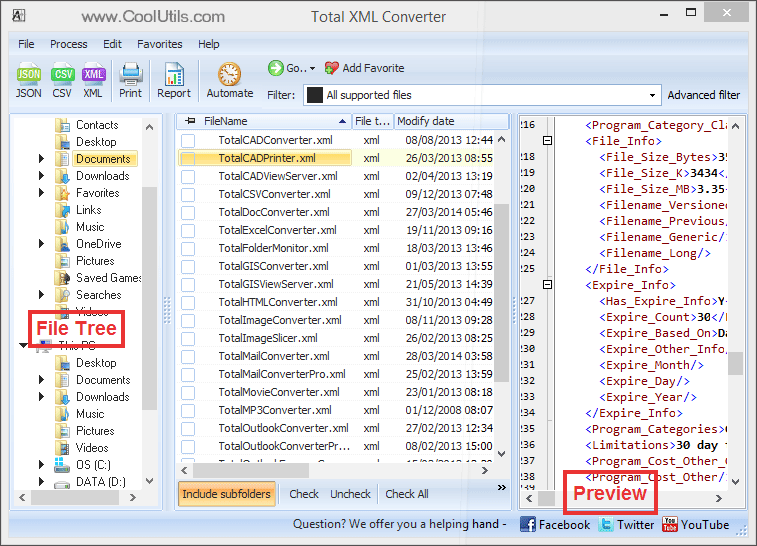 An additional server-based version is also available with Total XML Converter X. This ActiveX enabled variation can be used to connect directly with your own applications. Converting structured data between various formats is a task that rears its head time and again and can often be a serious timesink for your business. It is important you choose the right tool for this job rather than struggling with the same problem over and over again. At its low, one-time purchase price, Total XML Converter represents incredible value for money and you simply wwill not find a similar range of functionality available elsewhere at anything even close to this price. Download a free 30-day trial of the software today and discover its power for yourself!